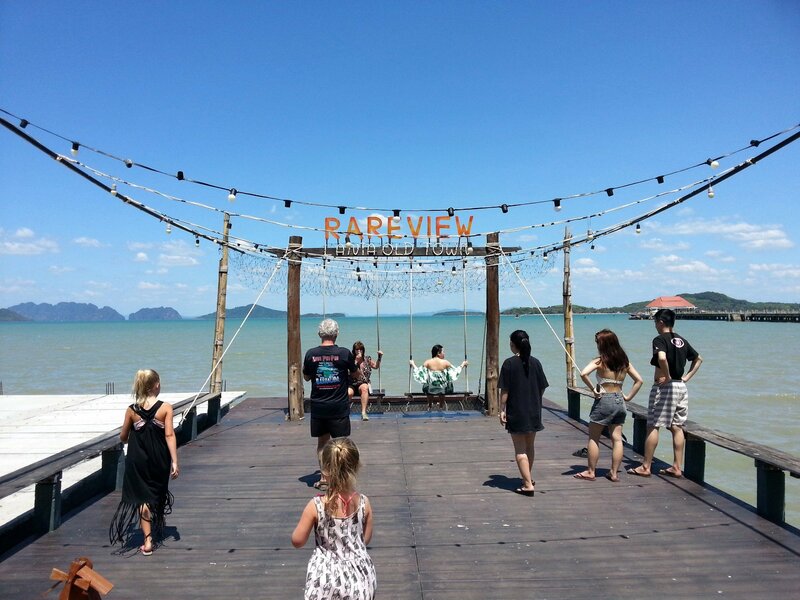 Rareview Coffee & Restaurant is a sea view restaurant and coffee shop in Koh Lanta’s Old Town on the east coast of Koh Lanta Yai, which is the largest of the group of islands known as Koh Lanta. 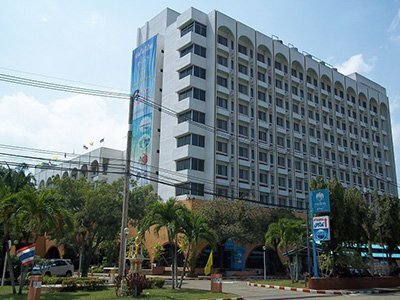 Rareview Coffee & Restaurant opens from 09:00 until 22:00 every day with menus in English and in Thai. The main attraction of Koh Lanta’s Old Town are the old wooden shop houses lining the coastal road, with sea views from the rear of buildings on the east side of the road. 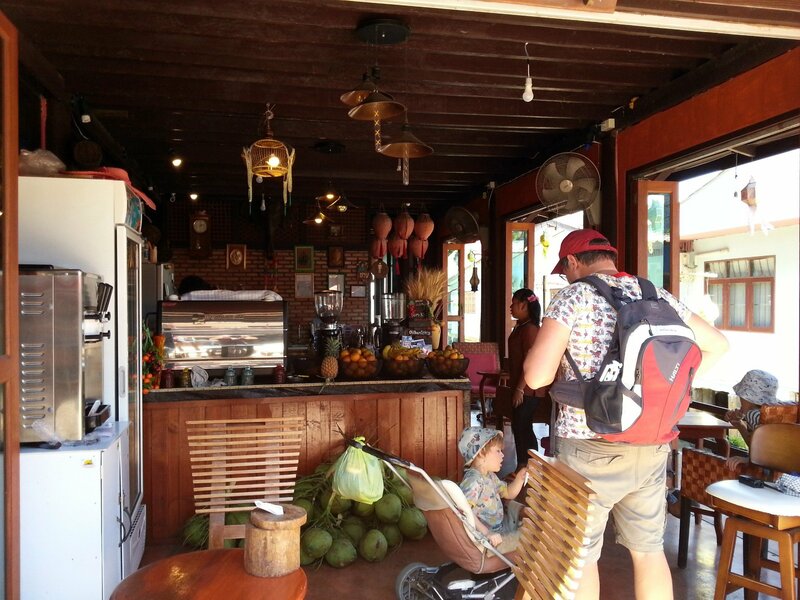 Rareview Coffee & Restaurant is located within one of these old wooden shop houses, which has been beautifully restored with a large wooden balcony over the sea installed at the back. Rareview is part restaurant and part coffee shop. At the front of the building is counter with a professional coffee machine and cakes and pastries on sale. The coffee and cakes can also be ordered from the restaurant at the rear. 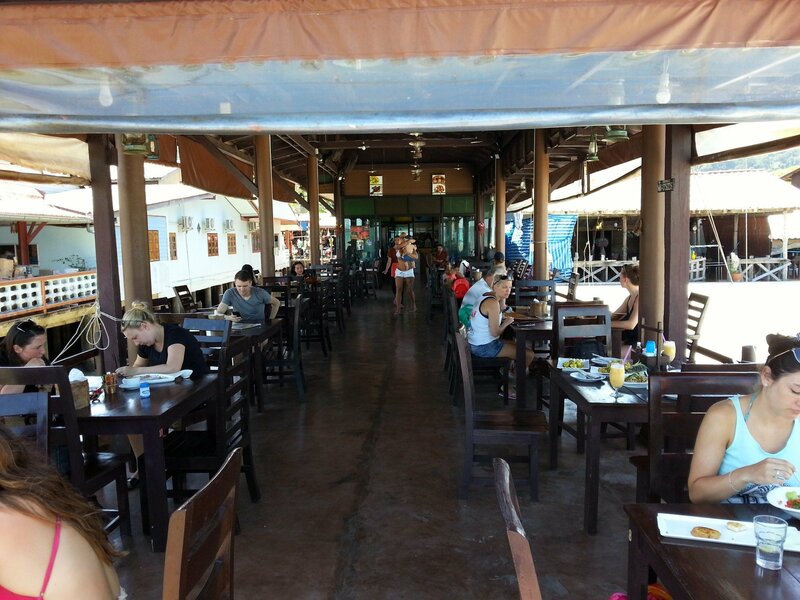 The main dining area at the rear of Rareview Coffee & Restaurant is long thin covered balcony supported by posts sunk into the sea floor. The sea breeze makes this a comfortable place to sit even during the heat of the midday sun without the need for fans or air-conditioning. There is a lot of seating in this dining area and despite the popularity of Rareview Coffee & Restaurant it rarely gets full enough for the restaurant to become short on tables. 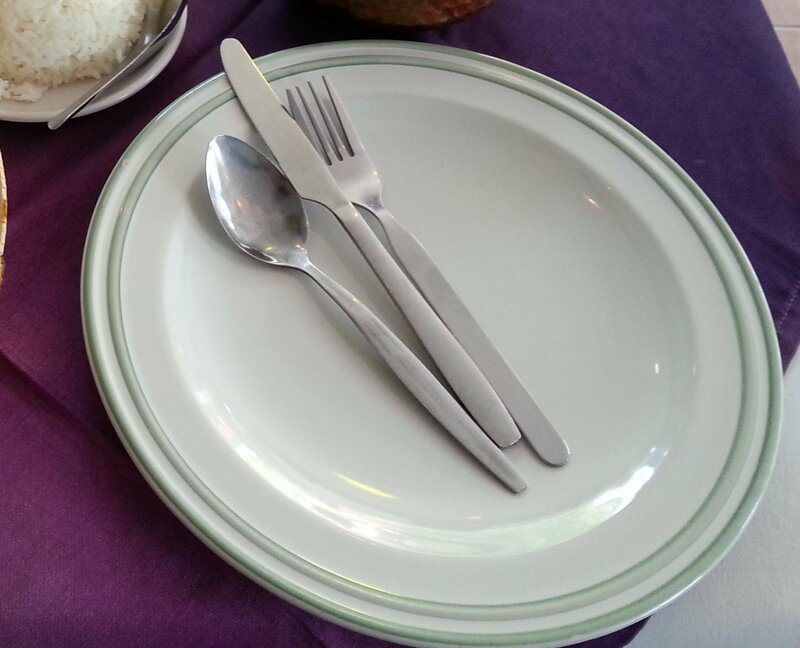 Rareview Coffee & Restaurant has a Thai and International menu with moderate prices for creatively presented food. 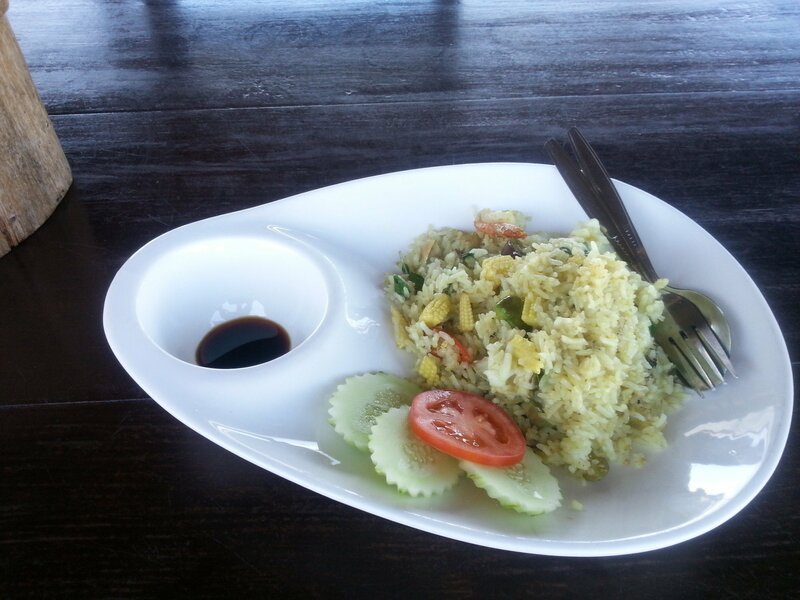 A basic dish, like the rice with shrimp fired in green curry pictured above costs 100 THB. The food is pretty good at Rareview Coffee & Restaurant, although you do need to wait a while to get served. It’s not a fast food restaurant. Where Rareview Coffee & Restaurant really excels is coffee, smoothies and desserts which outshine the food every time. This establishment gets a healthy turnover of Thai tourists who mainly come for the drinks and desserts, as well of course for the view. 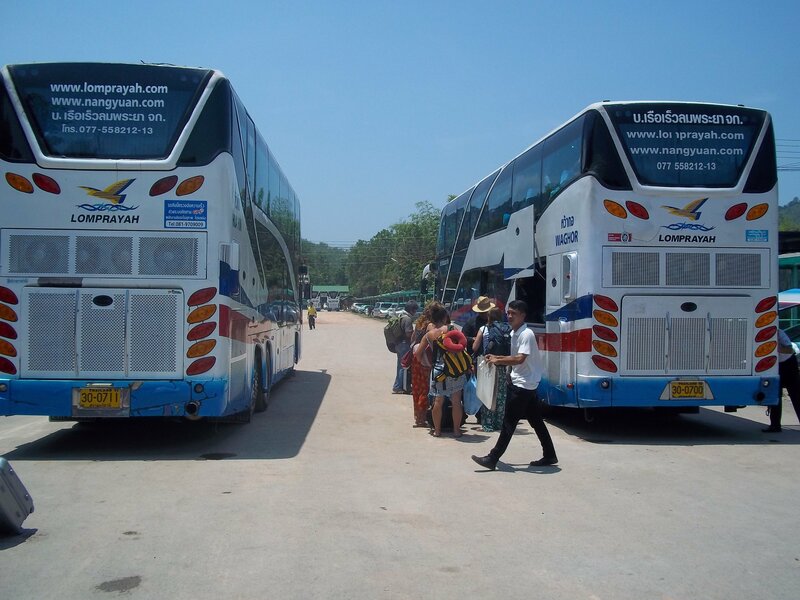 The east coast of Koh Lanta Yai has very different coastal scenery to the west coast, which is where all the island’s beaches are located. From the rear of Rareview Coffee & Restaurant you get great views of the many small islands located off the east coast. The end of the balcony at Rareview Coffee & Restaurant is uncovered with swings and a sign which are perfect for taking photographs to post on social media to make friends and family jealous. 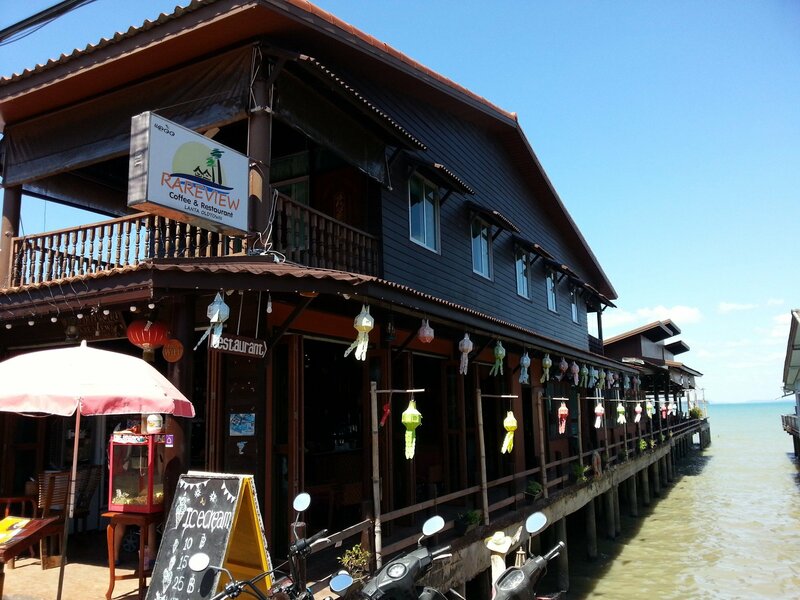 Rareview Coffee & Restaurant is located 16.7 km by road from Saladan Pier.